‘Akanan Guest House’ was opened to customers in 1998, after Douw and Annemarie retired from the South African Defence Force (SADF) and bought the property. Since then the Steyns are proud to have built up the business to what it is today. Every guest is treated with the honour and respect which they deserve. ‘Akanan Guest House’ is situated in GlenAshley, on the border of La Lucia and only 3km away from the well known Umhlanga Rocks. It is flanked by the Indian Ocean to the East, Durban City and the major sports stadiums to the South, and Gateway Shopping Mall and the new King Shaka airport to the North. The location of 'Akanan', with its proximity to Durban City, Umhlanga Rocks, Umhlanga Ridge, La Lucia Ridge, Riverhorse Industrial Area and Gateway Mall, makes it one of the most convenient places to stay. It is easily accessible, whether you arrive in Durban via the harbour, the airport, or the freeway, and is situated only 300 meters from the M4 freeway. With our efficient service we will strive to meet all your expectations with the best quality and hospitality, and to ensure that your stay with us will be unforgettable. ‘Akanan’ is a well established business in close vicinity to the business sector and to tourist attractions, beaches, major sport stadiums and shopping centres, all of which make it a dream destination for business people, tourists, holidaymakers and sport lovers. Atttention to the finer details and to cleanliness are the core of 'Akanan' service, and we are always on the lookout for ways in which to please and delight our guests, whether we accomplish that through the care taken in the design and decoration of the rooms, or in the things that we say and do to make a difference to your stay. Although we are a small establishment, our overall service could easily match with the best hotels. 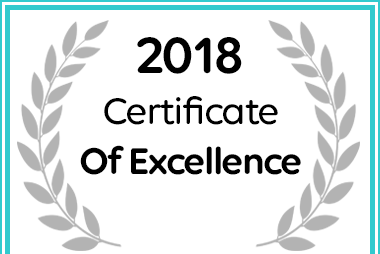 Akanan Guest house received a Certificate of Excellence for 2018. Kom geniet die heerlike warm gasvryheid van ‘Akanan’ Gastehuis. Ons probeer ten alle tye om u verblyf so gerieflik en aangenaam as moontlik te maak. Wees verseker van ons strewe om vir u ‘n tuiste te skep weg van u eie huis.